Chronic obstructive pulmonary disease (COPD) is a chronic disease composed of multiple components, which can include asthma, emphysema and/or chronic bronchitis. To reach a diagnosis of COPD you must have two or more of these diseases as diagnosed by your pulmonary (lung) doctor. All of these are considered to be obstructive respiratory diseases. 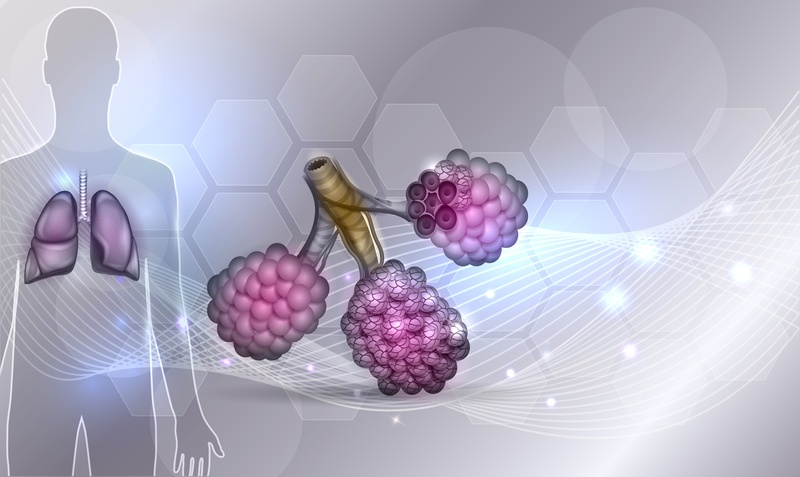 Obstructive lung diseases are categorized as such because they impair the ability of your body to breathe oxygen into the lungs and expire carbon dioxide out of the lungs. Since COPD is a combination of two or more diseases, your symptoms tend to be more severe than if you suffered from only one of the diseases. Let’s learn about each disease and find out how they all differ slightly from one another. Symptoms are experienced two or less times a week. Because of the irregularity, you may not need medications every day to control the symptoms. Usual activities including sports can be continued. Exacerbations, otherwise known as asthma attacks, usually happen once a year or less. Your nighttime awakenings are fewer than two a month from asthma symptoms. Symptoms can be controlled by a bronchodilator containing Albuterol, this is referred to as a “rescue inhaler” because it works quickly to ease shortness of breath. The bronchodilator shouldn’t need to be used more than twice a week in the intermittent stage. Symptoms are more regular than the intermittent stage, however, the symptoms are not experienced daily and usually are less than three times per week. Mild persistent asthma can limit activities, but most activities can still be performed at a near normal level. Exacerbations can occur two or more times a year. Medications at the mild persistent stage can include a bronchodilator or a low-dose inhaled corticosteroid. You may have to take medications on a daily basis to prevent asthma attacks. Symptoms are experienced daily for an extended period of time. You experience moderate to extensive limitations in your activities. Your risk of exacerbation increases to three to four times per year. 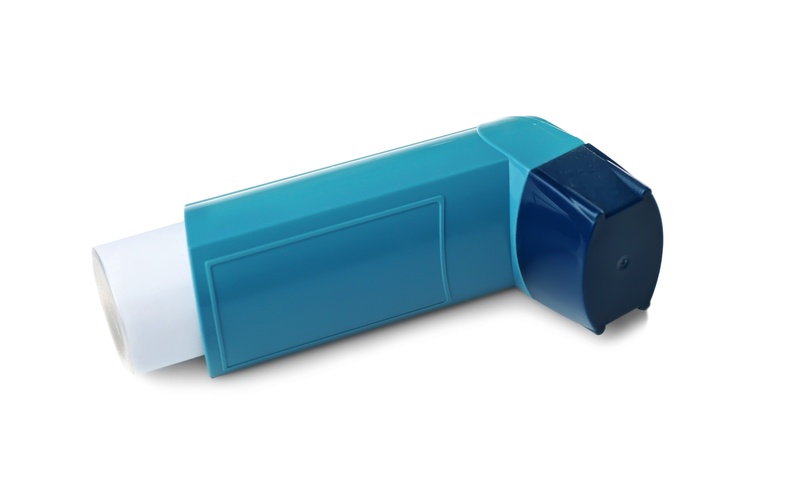 You use your rescue inhaler every day and need a medium-dose inhaled corticosteroid and a long-lasting bronchodilator. Other medications such as theophylline (an oral methylxanthine bronchodilator) may be necessary. You are not waking up every night, but you do wake three to four times per week with shortness of breath. You experience symptoms all day, every day. Your activity choices are severely limited and need to be chosen carefully. Your rescue inhaler is used several times each day. You use a high-dose inhaled corticosteroid and a long-lasting bronchodilator. Oral steroids may be needed to control inflammation in your airway. You are at risk of having 5 or more exacerbations a year. Night time waking is a daily occurrence. 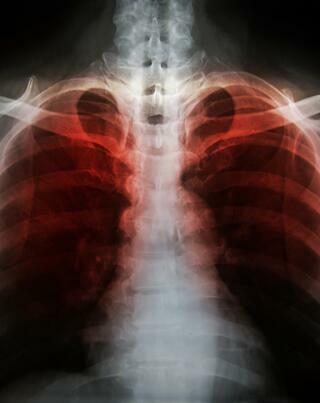 The next disease that can contribute to your COPD is chronic bronchitis. 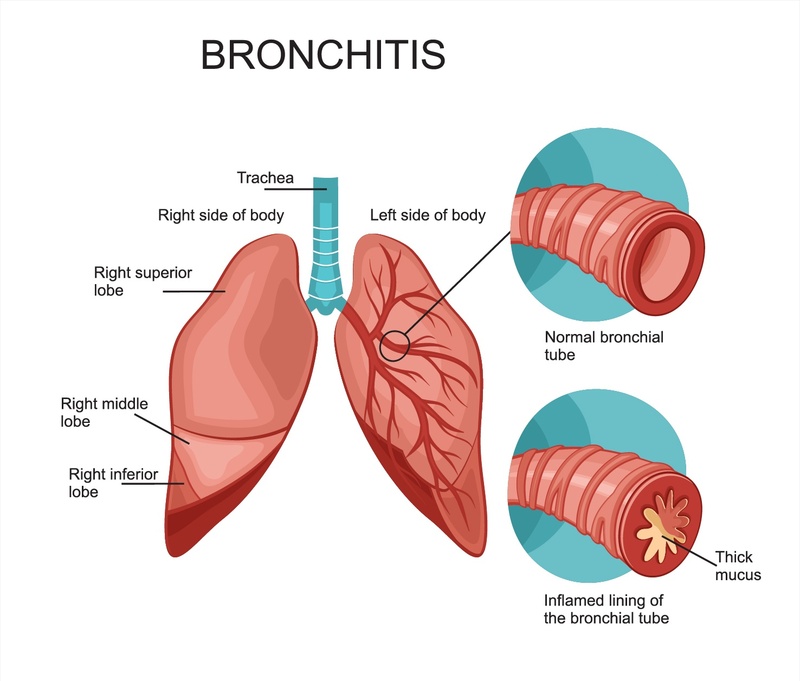 Chronic bronchitis is very similar to asthma, except it occurs when the bronchial tubes become inflamed through irritation, usually from inhaling chemicals or allergens. Chronic bronchitis is most often caused by smoking or prolonged inhaling of dust and chemicals associated with certain professions (i.e. mining, welding, construction). This causes you to have a chronic cough that persists for at least 3 months at a time for two consecutive years. Along with inflamed bronchial tubes, excess mucus production is a common symptom you are likely to experience. Inflammation and excess mucus lead to hoarseness, severe coughing, and bronchospasms which makes it harder to breathe. Unfortunately, due to the increase in mucus production and severe coughing, infection becomes an increased risk. This increased risk of infection is a distinguishing factor between asthma and chronic bronchitis. If you smoke, you need to quit to control your chronic bronchitis. If you don’t smoke, staying active and hydrated will thin mucus and make it easier to breathe. If you are exposed to chemicals or inhaled particles in your profession you can take proper precautions such as wearing an approved respirator to prevent further exposure to irritants. If either of the above options do not work, you need to see if there are any medications you can explore with the help of your physician. The last disease that can be a part of your COPD is emphysema. Emphysema differs from asthma and chronic bronchitis as it causes destruction of the air sacs (alveoli) inside your lungs that provide gas exchange for your body. The air sacs are made of elastic tissue that inflates and deflates, similar to a balloon when you inhale and exhale. Emphysema damages the walls of the air sacs causing the sacs to become floppy, sticky, and inefficient at exchanging oxygen and carbon dioxide. This causes less oxygen to get to your blood and makes it very hard to exhale carbon dioxide as air becomes trapped in the floppy air sacs. Symptoms of emphysema include chronic cough, shortness of breath, fatigue, weight loss, depression, and frequent respiratory infections. Treatment of your emphysema is similar to treatment for asthma, and can include bronchodilators, corticosteroids or steroids, and other medications. Breathing exercises are also encouraged as it causes you to focus on your breathing and can improve the constant feeling of being short of breath. By recognizing your breathing patterns, you can learn how to get the most use out of every breath you take. As you can see, there are slight differences in the diseases that make up your COPD. Any of these diseases can have an impact on your daily activity and quality of life, the combinations of having two or more of these diseases can be frustrating and possibly debilitating. Your doctor will put you through a series of tests to pinpoint what your COPD is comprised of and come up with a treatment plan that fits your unique symptoms. This will help you to manage your COPD and give you back your optimal quality of life.